The recent studies show that an average person spends up to 8 hours a day sitting in front of a computer. In other words, our society has become desk-bound and the constant sitting has harmful effects on our health. Allegedly, sitting increases the chances of having a heart disease and it can speed up the aging process. Therefore, more people are turning to a healthier lifestyle. Many choose a sports activity to stay fit e.g. swimming. While some prefer the gym, others have chosen to hop on their bikes and enjoy the ride. 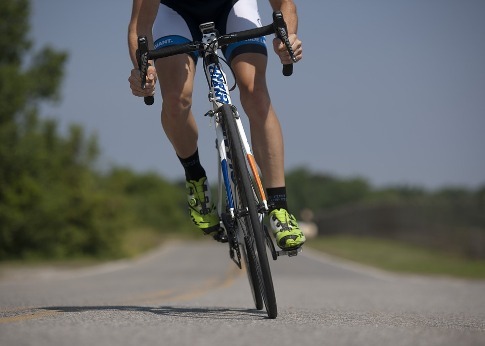 There is no doubt that cycling on a regular basis will definitely give you superb results. The calories get burned regardless of your diet. It is estimated that during one training session you can burn up to 650 calories an hour. Losing weight just by pedaling is far more convenient than starving while you are on a diet or taking up an aerobics class that you can’t keep up with. Another advantage of the regular training is that your body will eventually pick up the pace, meaning that with only by cycling, you can make the metabolism work faster. Cycling is the most beneficial activity for your heart. First of all, it can strengthen the heart’s muscles. Secondly, it can also improve your heart rate. In addition, it will lower the fat level in the blood. As a result, you will not easily develop a heart disease. Some researchers suggest that people who commute to work by a bike are less exposed to pollution than those who commute every day by their car. Therefore, the cyclists’ lungs function better. While we age, we develop various issues related to our joints. Especially due to the lack of exercise, it is very common to have problems with knees or even suffer from arthritis. Cycling is practically made to help people facing such difficulties in their life. Pedaling just thirty minutes every day will do wonders for you because you are not in any way pressuring your joints and knees. On the contrary, the body is leaned forward and the joints are resting. Overall, exercising them will contribute to their proper functioning and your health. Riding your bike can make you a happier person. Although some may doubt it, this activity does actually have a beneficial influence on the people dealing with some psychological issues e.g. depression or stress. These positive effects are associated with outdoor cycling. The stationary bike just won’t do, because the changing scenery affects the cyclist’s brain in a good way. So give it a go. Get around your city with a proper city bike. You can browse for road bicycles and bikes online. If you are looking for a challenge, mountain bikes may be the best choice for you. Sometimes the stress can get the best of you and interfere with your sleeping cycles. In case you don’t get enough sleep, you can have a hard time with losing weight. Having a sleep disorder can result in having many other problems that can affect your life in a bad way. For example, one can be prone to illness. Therefore, you should consider taking up cycling. Riding a bike will make you feel tired enough in the evening and enable you to fall asleep without any difficulties. The scientists confirm that cycling makes the person’s dopamine level rise in the body. Due to the low level of dopamine, the brain cannot send its messages throughout the body. As a result, the muscles cannot function properly and the person then suffers from tremors caused by Parkinson disease. Some researchers have proven that cycling is an effective therapy for Parkinson patients. Moreover, it has also been shown that this activity can prevent such disease from occurring after the age of 50. In the end, whether you choose to get on a bike for this or that reason, you will not be making a mistake. Every hour of doing this particular activity will notably contribute to your psychological and physical health. In other words, cycling will contribute to your longevity. Along with the benefits of reducing death risk, you are also engaging your whole body in an amusing activity that you can practice just about anywhere. Maybe you’re just on your way to work or to pick up groceries; cycling for just a half an hour can do wonders for your well-being. Since cycling is a convenient activity without age limit, it can be done by younger people and by those who are no longer in their prime.